Curious if working with Steph is for you? Here’s what her clients have to say. Before I begin working with Stephanie, I lacked confidence, motivation and couldn’t clearly see my purpose. I knew there was a greater purpose for my life I just needed support finding it. After coaching, I have a greater understanding of myself. I hold my head higher. I found my self worth that was buried underneath pain, and my outlook on life is more positive. My favorite part of coaching is the consistency. Stephanie was always there. The WhatsApp component of coaching was so helpful because I could reach out to her anytime I needed and she would respond quickly. I felt I was a priority for Stephanie and she truly wanted to help me achieve my goals. Since coaching, I have started a private yoga studio with a beautiful website and consistent clients. I have also used the many tools learned through coaching to help my daughters and others. In my experience, coaching did not stop when my sessions were over. I still utilize the guided meditations and affirmation tracks Stephanie created. Coaching helped me realize I have so much potential and so much to share with others. It was a life changing experience for me. Stephanie went above and beyond. Her level of engagement and care surpassed my expectations. I have tried counseling in the past, I never felt the genuine care for what I was going through like I did during (and after) my coaching experience with Stephanie. I would absolutely recommend working with Stephanie to everyone that needs support in finding their path and guidance in shift their mindset from negativity to positive. Stephanie came into my life at a time when I was very unhappy in my personal life and in my relationship. I knew immediately that I wanted to hire her as a coach. It was the best decision I have ever made and it was life changing! Stephanie and I worked together for many months. Over that time I became more confident and began to find myself again. My favorite part of coaching was watching my life literally change before my eyes! The support and encouragement that Stephanie provides in her sessions is incredible and I wouldn't be where I am today without her! I left a toxic relationship and started to get to know myself again. I progressed very quickly in my job and started manifesting everything from money, to relationships, to job opportunities. I even manifested my new apartment! I can't say enough about my time with Stephanie. It will forever be one of the most life changing events and decisions I have ever made. Hiring her opened my eyes up to my soul and spirit again and I found alignment with who I am! I highly recommend working with Stephanie! I recommend her all the time to my friends! She has a keen ability to connect with source and know exactly what a person needs! She provides you with so many tools to use in between sessions and I am still using these tools on a daily basis! Before coaching with Steph I was in a holding pattern. I had arrived at a point where I new I wanted more from my life, but wasn't sure how to get there. After coaching I feel remarkable! I cannot believe how many rungs of the ladder I've moved up in my own life. My confidence, courage and outlook are pretty much off the charts and I am now (for the first time EVER) unapologetic about it. My favorite part of coaching was knowing I was going to talk to Steph each week was HUGE. For me however, the positive affirmation tracks and just her consistent WhatsApp voice messages were game changers for me. My biggest accomplishment since coaching was taking a trip to Greece solo and doing it like I've been traveling forever. The trip changed my life. I am now Crystal clear on the gift that I am and am full of love and light. How incredible the change in my life is exceeded my expectations. I believe you have to do the work. There is no magic. But I am starting to reach a point where I remember the darker days but they are becoming more faded! Before coaching with Steph I felt lots of stress, anxiety and lacked clarity. After coaching I feel much more calm, anxiety and stress are more controlled, and I have a clear vision. My favorite part of coaching is that even on the days where I could not find a solution, Steph would guide me in the right direction. She has a great talent and intuition to steering you in the right direction. My happiest moments came after break throughs which happened quite quickly. Since coaching I have been able to set a clear idea of what I want to do and have set a plan that is currently in motion. The questions and negative chatter have gone away and I am more focused and determined to reaching my goals. Steph always exceeds expectations. Her warmth, knowledge, kindness and positivity truly make her a special coach. I would absolutely recommend working with Steph. She is full of knowledge, trustworthy and always has your back for whatever you may need. Before coaching with Steph I was a little unclear as to how to go about the direction of becoming a life coach myself. Since coaching with Steph I have had one coaching event and have had 4 complimentary coaching sessions with clients and I’m planning my second event. My favorite part of coaching with Steph was feeling her positive energy! It was comforting to have a listening ear and guide. Aside from already having given a few coaching sessions myself, I’ve also found that I’m constantly changing my mindset around things. As well as giving myself positive affirmations throughout the day. What exceeded my expectations was the amount of support I received from Steph not only during our calls but also during our WhatsApp coaching texts. Would I recommend coaching with Steph? Absolutely!!! The main reason being that she is a master in connecting and in giving you exactly what you need each session! Before I started coaching with Stephanie I felt a great deal of anxiety about my current situation. I felt stuck, it was hard for me to focus, and I was having trouble finding joy in the little things. I didn’t feel like I had any real direction and while I am naturally a very optimistic person, because of certain life events, I was having a hard time seeing the glass half-full. After coaching, my eyes are brighter, my smile is bigger and I feel focused, full of joy and excited about being happy in the moment and living each day to the fullest. It’s like I’ve been given new eyes to see and incredible tools to use no matter what situation I face moving forward. The minute we began working together, incredible things would happen. She helped me manifest like crazy and the Universe has presented me with answers and new opportunities left and right. It's crazy! Life is good! Stephanie is amazing. Period. Stephanie has a way of reaching deep within and allowing so many incredible things bubble to the surface. Along with the positive affirmations and the homework she would give me each week, she truly did help me raise my vibe and I’m loving this new place I’m living in now. It’s a place of positivity and she brought out the me I always knew was there! Stephanie has a light and it shines so bright and honestly that’s what made me the happiest with each session! There is so much clarity now after working with Stephanie. Stephanie helped me focus, realize my potential and I’ve already started putting things into motion. Just taking those first steps has allowed me to feel joy, excitement and empowered! 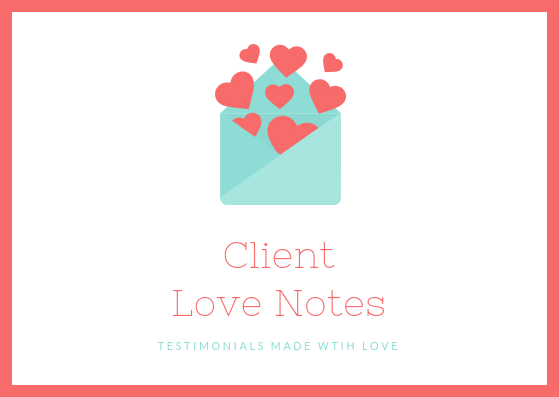 Hiring a spiritual mindset coach was brand new to me and while I did not hesitate moving forward with it, I will say that I was incredibly surprised how quickly I connected with Stephanie and how much clarity and happiness I started to feel almost instantaneously. Hiring Stephanie as a spiritual mindset coach is a complete no-brainer. I’m forever grateful for the work I got to do with her and I will continue to reach out to her moving forward! She not only helped give me clarity but inspired me, encouraged me and pushed me in incredible ways to discover what I am meant to do on this earth. The main reason I would recommend her is because she’s genuine, real, grounded and a huge ball of energetic light. She’s has a gift that you 100% deserve and that I 100% needed in my life. Before meeting Stephanie my life was a complete mess. I felt unworthy and was utterly out of touch with own feelings wants and desires. My own dreams were blurry and felt out of reach. I was anxious and depressed. I felt lost, afraid, and alone. Life is so much happier and brighter and clearer now. I still face challenges but now I am armed with an entire toolbox of healthy positive ways to overcome and there are endless new possibilities all with bright positive potentials. Stephanie helped me pull myself out of the darkness and gave me the tools and resources to continue making gains on my dreams. I have manifested my new apartment which I absolutely love! I have manifested a new career that I have always dreamed of. I have changed how I interact with my family and no longer allow their craziness to be my own. I have learned to stop and think about how my body is reacting to situations and no longer ignore the signs of anxiety and depression. Which I turn allows me to remain emotionally stable. I honestly never believed this life I am living was possible. Stephanie changed what I believed was possible in my life and the result is living the life of my dreams. Would I recommend Steph? Absolutely! Stephanie has immense patience and a strong ability to redirect you from the pain to the healing. To help you see the light and realize you are not alone. Her affirmation tracks and journaling and simple pure belief that each of us are an amazing and unique burst of light that deserves to be exactly what we want to be has been life altering.